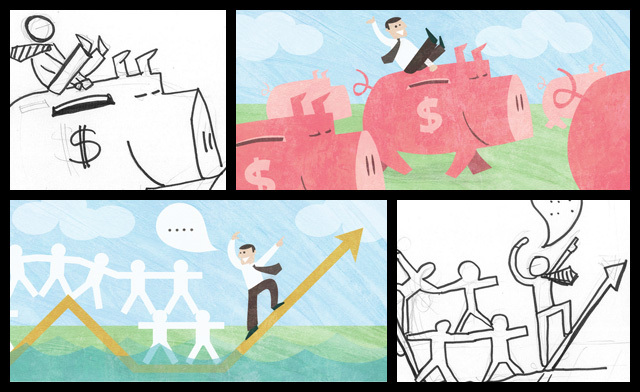 This is a sneak peek of a series of illustrations I worked on for a finance newsletter. It shows some insights on the process of starting out with the rough sketches and then moving on to the create a unique visual treatment. I have to say that I'm far happier with the printouts as the colors and textures turned out richer than on screen.